The warm weather is finally upon us! As we find ourselves solidly in spring many of us shift our thoughts to the outdoors and our gardens. Whether you are new to gardening or have cared for plants for years, why not give it a try with your children? It’s not too late to get started now! Whether you live in a tiny city apartment or a sprawling multi-acre piece of land there are many options for planning and executing a garden. The first step is to decide what will work best for you and your family. Consider how much time and effort you are willing to put into caring for the plants during the growing season. Container gardens fit nicely onto porches and decks. This is a nice way to keep things simple if you’re new to gardening or know you will be short on time. Finding space for even a few pots can be a fun and rewarding experience for you and your children. Thinking you may want to go bigger? Raised beds keep things contained and easy to manage. This can be as simple as four 2x4s screwed together with some metal corner brackets, or you can find designs for elaborate and much taller beds online made of a variety of materials. If this is your first time gardening you might consider starting with 1-3 beds, roughly 4 by 7 feet. Fill the beds with a mixture of soil and compost and you’re good to go! A few last considerations: consider what you want to grow and how much sunlight you will need, as well as how close the space is to a water source. This is the step that younger children can really become more involved with. Check out options at your local nursery or garden center, but have some ideas beforehand. Do you want to focus on flowers? Vegetables? Does your family enjoy berries or do you like cooking with fresh herbs? There are so many possibilities it can be easy to get carried away! A little planning goes a long way. Selecting garden plants could open new doors for your child. If you have a picky eater, encouraging them to choose, say, a plants whose vegetables they typically shy away from, you may be surprised by the end of the summer. 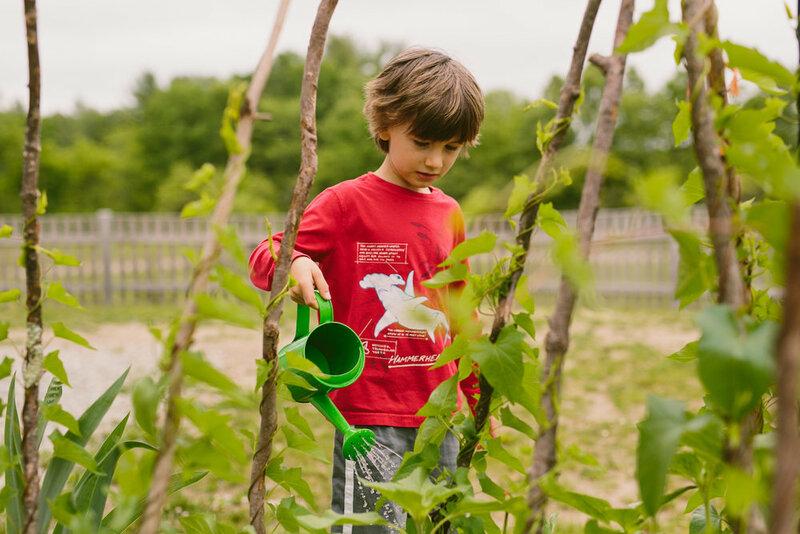 When a child takes the time to care for a garden they feel deeply connected to the plants. They will feel a great swell of pride when they harvest that first zucchini, and they may well enjoy tasting it with new perspective. Keep in mind the location you have chosen to place your garden and pay attention to the amount of sunlight the spot receives at different times throughout the day. Some plants require full sun, while others need partial sun or even shady areas. Companion planting is fun to consider as well. Some plants compliment each other when planted nearby. This often has to do with properties of the plants that contribute to pest control, or what kinds of nutrients they take from (or give to) the soil. Check out this site for more information on specific companion plants. Water early in the morning or late in the day. Midday watering can lead to the sun heating up the water and essentially boil the plant and its roots. Make your watering system easy. Have a hose ready or a sprinkler set up. Mulch is your friend. While there are different options, cut straw can be a great way to cover the soil around your plants. It holds moisture in by preventing excessive evaporation and limits weeds’ ability to grow. Keep an eye out for pests! Anything from insects to deer can cause problems. Be aware of the potential where you live and ask around for specific ways to prevent or treat damage. Some plants have more needs. Climbing plants need guidance, while others may need pruning or thinning. Seed packets typically include these types of directions, but the the folks at your local garden center are another great resource. Believe it or not, there are plenty of benefits you will reap long before harvesting. Gardening allows us to spend time outdoors, breathing in fresh air, taking in the sunshine, and nurturing our own connection with the earth. Spending this time with your child allows you to enjoy these benefits while spending time together. The time you spend gardening as a family will leave a positive, lasting impact that your child will remember. The harvest does, of course, bring joy all on its own. Whether you have a gorgeous vase of fresh blooms in your dining room, fresh pesto for your dinner, or hands full of strawberries that never even make it to the table, you will all enjoy the result of your hard work. Click to go to this book on Amazon. 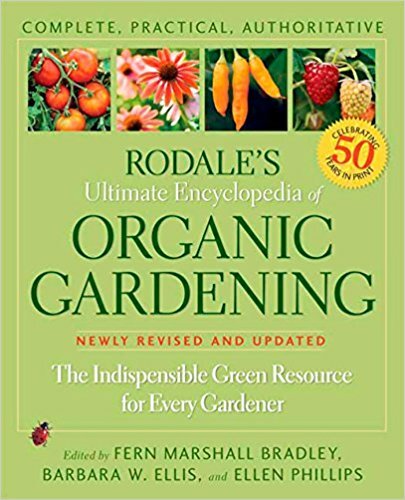 If you’re looking for more information, this reference book is full of general gardening advice and plant-specific information. Older PostMontessori Basics: What is ‘Practical Life’?